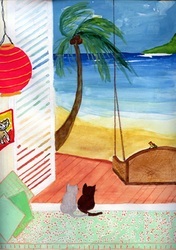 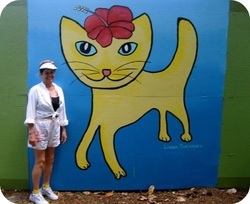 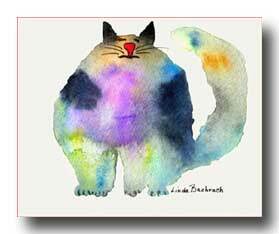 I am Linda Bachrach and I live in Honolulu, Hawaii. 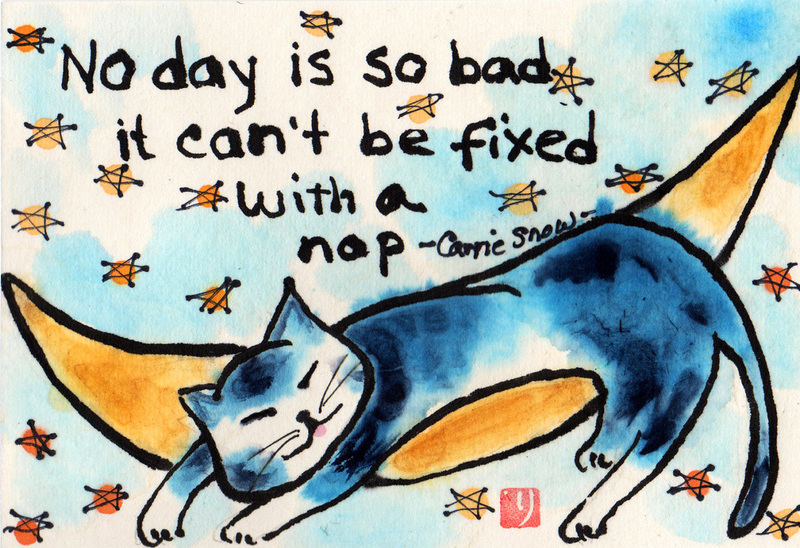 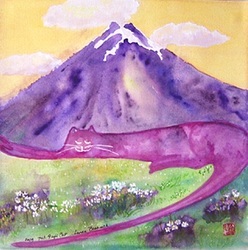 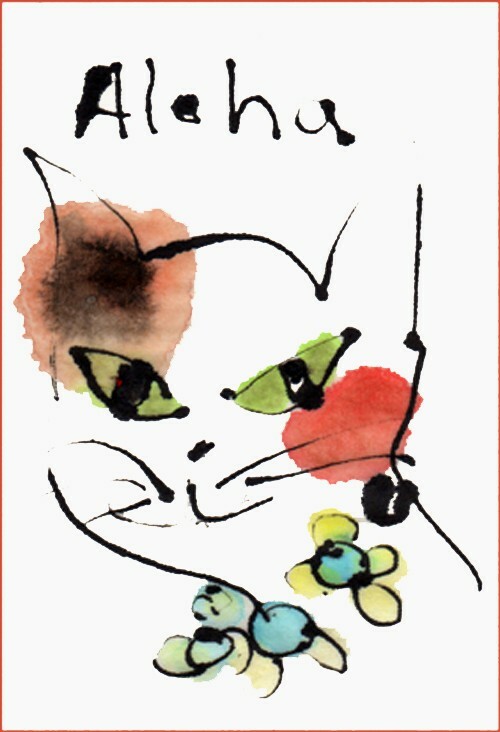 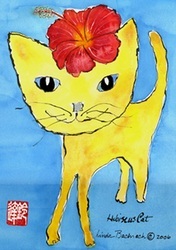 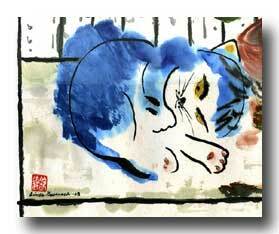 My passions are cats, art and Japan. 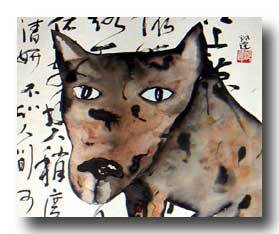 I have a background in Chinese calligraphy and landscape painting and my inspirations come from the simplicity of Asian art, particularly the art I am exposed to in my travels to Japan. 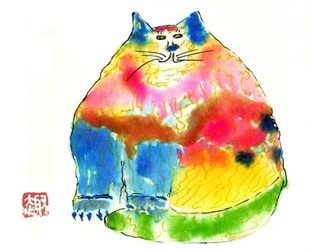 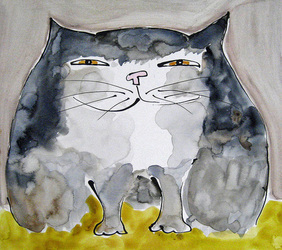 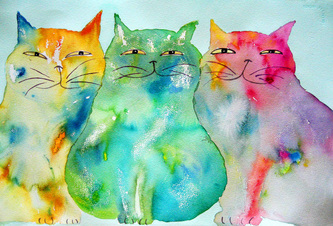 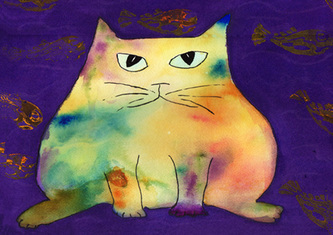 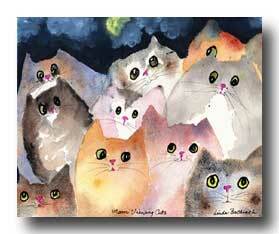 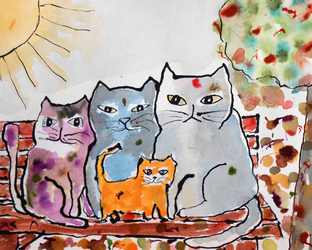 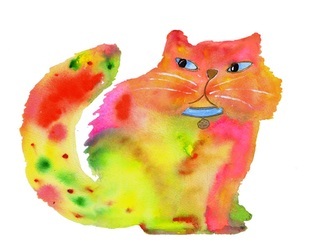 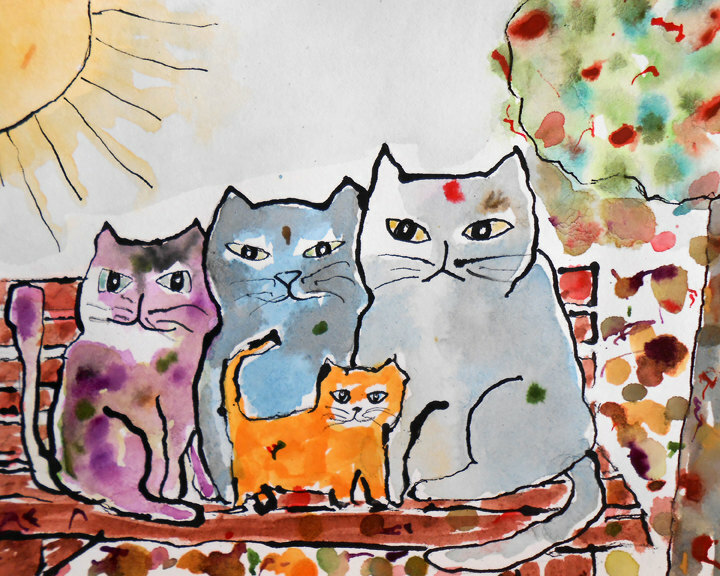 I paint my cats in a loose, expressive style to capture the attitudes and personalities of these wonderful creatures. 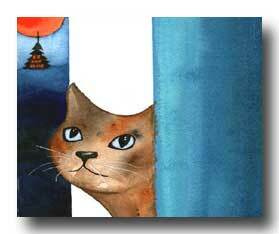 Most are imaginative in color and shape with a special mischievous look in their eye. Always happy, these cats bring smiles to the faces of all who see them. 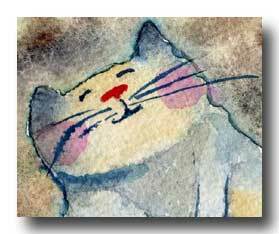 My art is made from water-soluble materials such as sumi inks and mineral colors. 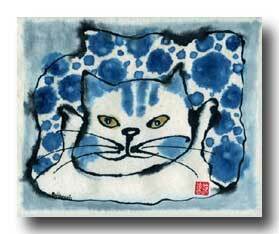 I also enjoy collecting and using old books and fabrics from Kyoto as collage paper in a mixed media style.